U.S. Olympian Gus Kenworthy tore into Ivanka Trump early Sunday, questioning why she is attending the Winter Olympics. 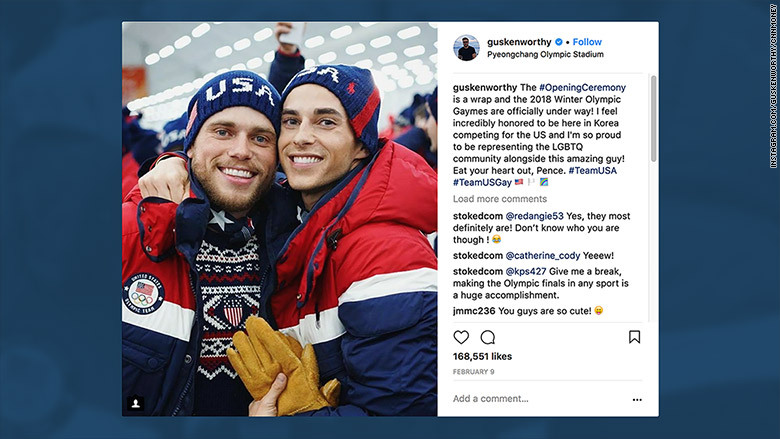 Kenworthy, a freestyle skier, posted a photo of Team USA athletes, saying he was “so proud” of his teammates. “So proud of all these people! Everybody here has worked so hard to make it to the Olympics and have the opportunity to walk in the closing ceremony!” he tweeted. Ivanka Trump is in South Korea to attend the closing ceremony of the 2018 Winter Olympics. The first daughter, a senior adviser to President Trump, is leading the U.S. delegation to the ceremony on Sunday. She said earlier this month that her trip reaffirms her father’s call for a “maximum pressure campaign” to denuclearize North Korea and to “reaffirm our bonds of friendship and partnership” with South Korea. “We cannot have a better, or smarter, person representing our country,” President Trump said of his daughter’s arrival in a tweet last week. Ivanka Trump said late Saturday that it was “incredibly inspiring” to attend the games, according to a reporter traveling with her. “It’s been an amazing couple of days, and such an honor and privilege to be here with our allies in South Korea and celebrate all that we’ve accomplished as a culture, a society, economically and, of course, in sport,” she added.